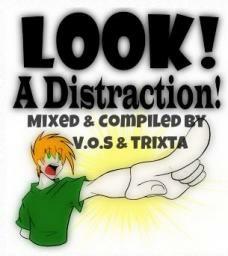 DJ Vos and DJ Trixta reunite after over 6 years to form "Distraction". This self titled mix is compiled by Trixta and mixed by VOS. Feel free to comment, vote and feature. You can also download it! Thank you to everyone for their votes and comments! Its greatly appreciated! much love to ya! Fun mix. Good energy and variety! i cant stop listening to this! Perfect job, very good tracks Nice collaboration . Soooo cooool!!! I cannot stop listening!!!! Excellent selection of tracks..Rachel Starr's You and Me stands out big time...I love her voice..Thank you for making me discover another good track of hers..I loved her since "Til there was you"..